The Sheena Bora case has grabbed public attention like no other recent crime story could. The media has been full of details about the case - the plot, the characters and theatres of action. Most of the spotlight has been on accused Indrani Mukerjea, who had presented Sheena as her sister. Later, of course, it turned out that Sheena was her daughter. Indrani, the wife of former Star TV boss Peter Mukerjea, has been a known face in Mumbai's corporate world as well as the socialite circle there. Since Indrani's arrest, many of those who know her have come forward to narrate their impression of her. But not much was known about her past. Catch tried to trace those who knew Indrani in her formative years in Guwahati and in Shillong. Typical of how public memory works, Guwahati is rife with anecdotes about Indrani, most of which is salacious. The picture that these anecdotes paint is of a young woman at odds with her circumstances. The mores of small-time India seems to have constrained an ambitious girl. She also must have been deeply disturbed, scarred even, if the accounts of her father's assault on her are true. Indrani, better known as Pori Bora in those days, grew up in an Assam scarred by violent political agitation and the creation of a separate Meghalaya, which led to the shifting of Assam's capital from Shillong to Dispur. She was a student of the 1982 batch of St Mary's School, Guwahati. 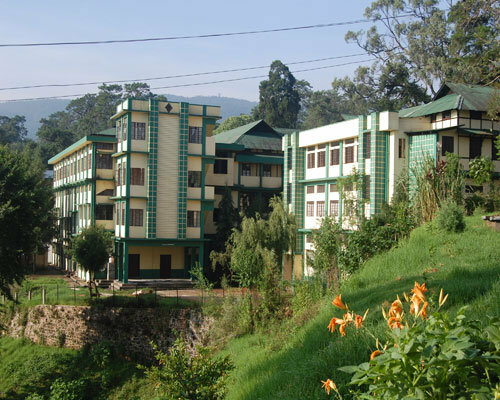 The all-girl school was regarded as one of the most prestigious schools in Guwahati. Many of Indrani's classmates - now established professional and parents themselves - remember her. Some were particularly close. "Our school was very strict. Guwahati was not cosmopolitan and people were not broad minded," says a classmate of Indrani from St Mary's who used to be apprehensive about being too close to her. "She liked to hang around with boys outside the school and do crazy stuff. She also read things that were not appreciated those days," she says. A source in the school said while studying in Class 10, Indrani tried to elope with a boy. Her parents scuttled her plans, stopping her at the Guwahati railway station. For this, the school expelled her and she had to take her board exams as a private candidate. "Even our teachers used to advice us to keep away from Indrani, calling her crazy. Perhaps they thought she would spoil other girls and expelled her," says one classmate. While growing up, Indrani had a keen interest in western music, fashion and acting. And she was carefree. "Indrani didn't give a damn about anything she didn't like, She was adamant and arrogant," recalls a friend. "Even when she was thrown out of the school, she didn't bother," she says. After this, Indrani moved to Shillong and joined Lady Keane College, again a revered, but all-girl institute. Shillong, the capital of undivided Assam, was the most happening place in the North East in those days and an education hub. Indrani made new friends there, both from her hometown Guwahti as well as other parts of Assam. "They formed a group known to be crazy, outgoing and bold. They were known as party animals," says a woman who studied in Lady Keane at the same time as Indrani. "We all were in our teens. I was not totally into that group did go out with them at times. Indrani was ambitious, but also helpful," says the woman, now settled in Guwahati. "Indrani had lot of guy friends. In those days Shillong was far more open than any other places in India in terms of relationships," she says. According to her, at this time Indrani met Siddartha Das. She remembers Das as being a handsome guy, whom she saw with Indrani a couple of times. Sources have told Catch that Das hailed from Karimganj district in Southern Assam and was unemployed at that time. "Indrani told us she had many relationships while she was even in school. 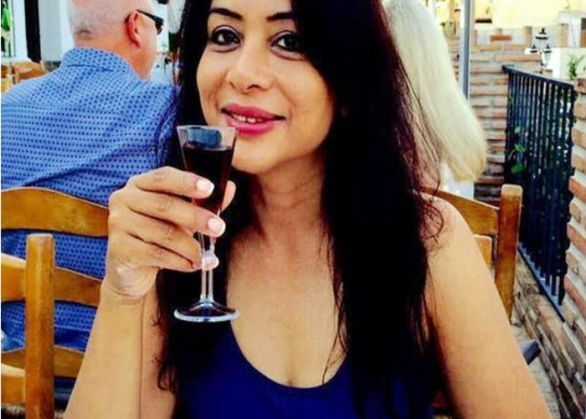 So we did not take her relationships seriously," says Indrani's college batchmate who remained in touch with her for a while in Guwahati before she disappeared in the '90s. An established businessmen in Shillong who studied in St Edmound's College at that time, says he had a crush on Indrani. "She was gorgeous, smart and carried an attitude. Indrani was much talked about, he says. According to someone who knew Indrani during her student days, she got pregnant in Shillong, may be from Das, and went to Guwahati. "Siddartha lived with her at her Sundarpur residence after the birth of Sheena. We have seen him," the source says, adding Indrani's father gave the couple funds to start a food joint which did not run." "Perhaps after that Siddhartha left. We never see him after second child was born," says an old neighbour who wishes not to be identified. Another neighbour claims that Indrani did some small-time job between 1990 and 1992 in Guwahati, before "suddenly disappearing" from the scene, leaving behind her parents and children. The family remained aloof and Indrani reconnected with her family around 2002-2004, neighbours say. READ NEXT >> Why is Karnataka facing the worst drought situation in last 40 years?